Ending speculations, the defence ministry Saturday said the next edition of Aero India -- considered Asia's largest aerospace exhibition -- will be held in its traditional venue of Bengaluru from February 20 to 24 next year. 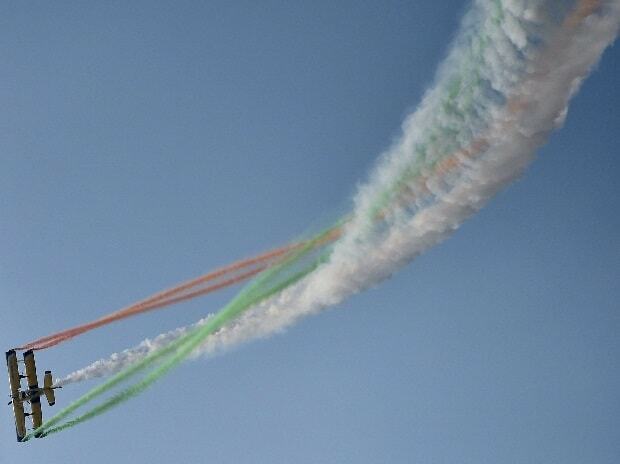 "The government has decided to hold Aero India 2019 in Bengaluru from February 20-24, 2019," the ministry said. "Besides giving a fillip to the domestic aviation industry, it would further the cause of Make in India," the ministry said in a statement. Days later Karnataka Chief Minister H D Kumaraswamy wrote a letter to Prime Minister Narendra Modi, insisting that Bengaluru would be the "best choice" for the event. "Bengaluru being the hub for defence and aviation majors of the country, is certainly the most suitable place to conduct the show," he had said in the letter. In the budget for 2018-19, the government announced to set up two defence corridors -- one in Tamil Nadu and other in Uttar Pardesh-- to promote defence manufacturing. The corridor in Uttar Pradesh will pass through six districts --- Aligarh, Agra, Jhansi, Kanpur, Lucknow and Chitrakoot.